2" Fauxwood window coverings, blinds and shutters from Blindsontime.com. 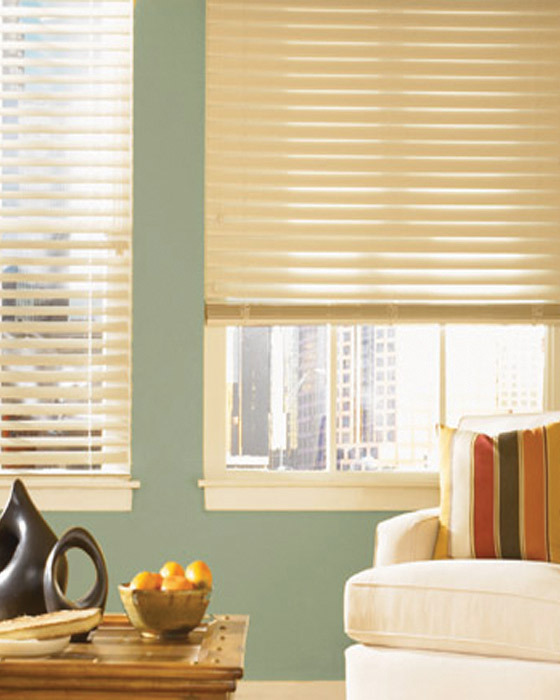 Poliblind Faux Wood Window Blinds are one of the best-selling products in our vast selection of window coverings. Horizontal Wood Blinds are an affordable way to bring the beauty of woodgrain interior to your home's toughest environments. 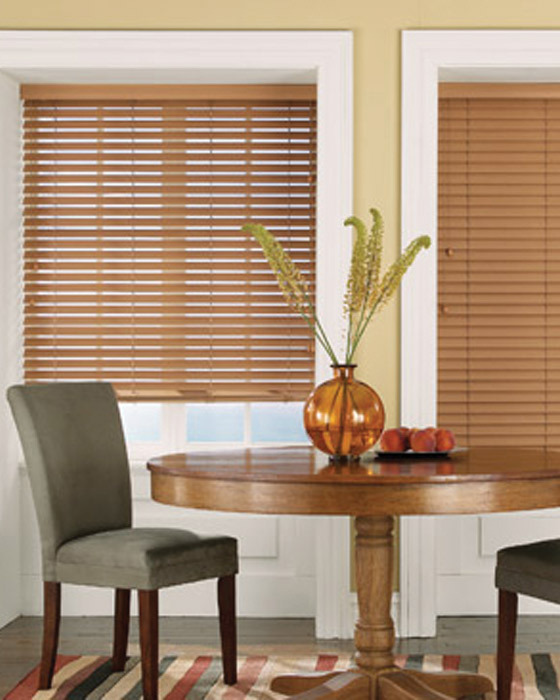 The printed 2” slats of these amazing Faux Wood Blinds give an authentic look of real hardwood interior blinds for less. 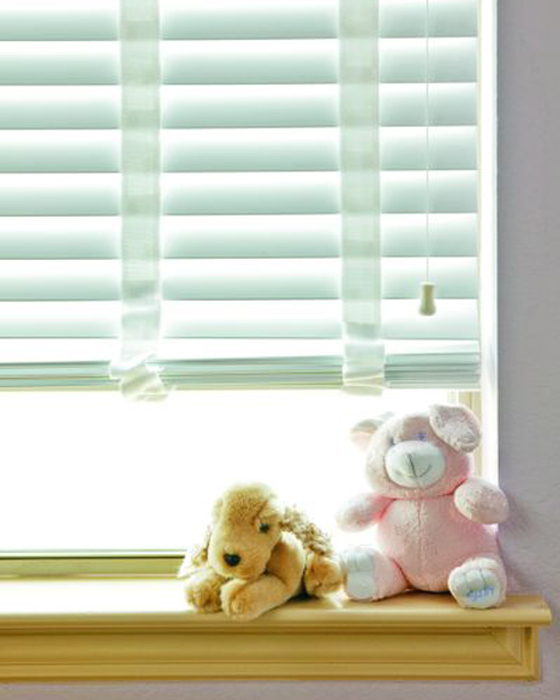 Our horizontal wood blinds are ideal for lasting attractiveness and include a steel headrail for added durability. This model is available in 7 color classics with smooth, a embossed finish. 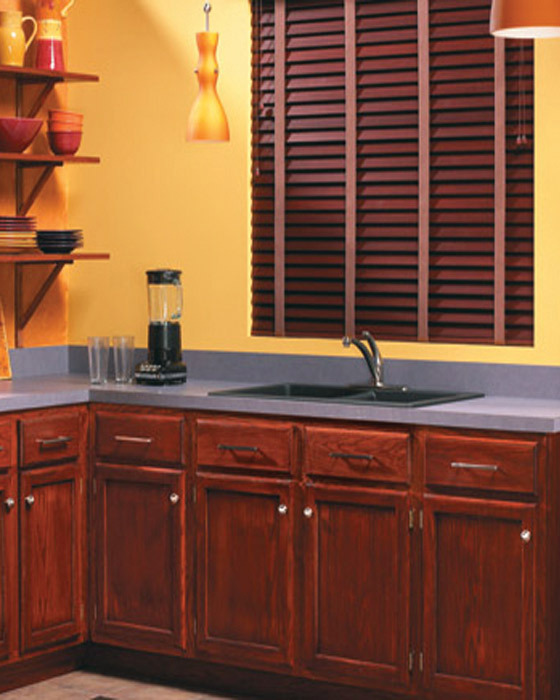 Our Faux Wood Window Blinds provide such a rich look that your neighbors will be wondering whether or not they are the real thing. For fabric tape add $32 to base price. Enter Lenght of the window to the nearest 1/8". Precision measuring to find width: Measure exact distance to the nearest 1/8" between inside surfaces of window frame at the top, middle, and bottom, and use the narrowest width. Do not make any width deductions. Factory will make the appropriate deductions. Measuring efficiency to find height: Measure exact distance to the nearest 1/8" from inside surface at top of window to sill at the left, middle and right and use the longest height. If you prefer the natural wood blind not to touch sill, deduct 1/4". If there is no sill, measure height to point where wood window blind is to reach. Precision measuring to find width: Measure exact distance to the nearest 1/8" between the outermost points where the natural wood blind is to be placed. For optimum light control, this measurement should extend 3/4" beyond the window opening on each side (or 1 1/2" for the entire width). Measuring efficiency to find height: Measure exact distance to the nearest 1/8" from where top of natural wood blind will be located, to top of sill. If there is no sill or if the wood window blind is to overlap window frame, measure to point natural wood blind is to reach. This 3" valance features attractively contoured lines that complement virtually any molding style. Lift cord is used to raise and lower the blind. Use motorized option with remote to control blinds TILT SYSTEM. Make sure to include at least one Remote Control, or use Wall Switches for the blinds in the room. New Motor is much quieter. New Remote does not have to be pointed at the motor to operate (Radio frequency). New Remote operates on motorized Screen Shades as well. 12V Power Supply available in the event you do not want to use batteries to power it. New Motor has a Wall Switch available in the event you want to operate it without a remote. Wall Switch available in the event you want to operate it without a remote. Tilter is used to open and close blinds. Choose NoHoles to increase your privacy and light-control levels. A patented design eliminates rout holes in slats to protect your privacy in bedrooms and bathrooms and block light in home offices and media rooms. Eliminating rout holes reduces visual distraction for a cleaner look.